The very rare outlier companies like PayPal and Dropbox have hogged the headlines by driving insane, viral growth with their customer referral programs. If you’re benchmarking your referral program against theirs to gauge how you’re doing, it’s easy to get discouraged. Flying under the radar are the thousands of companies quietly finding success with *non-viral* Refer-a-Friend programs. And it turns out that these companies are actually better learning opportunities. Rather than having had lightning strike, these companies have engineered programs—through iteration and optimization—that amplify word-of-mouth and reliably drive more sales over the long term. We analyzed 400 companies that use our referral platform to power their program, across a wide range of industries from retail, financial services, and B2B. Here are the numbers we saw at every stage of the referral funnel, and here’s how you can take their learnings and use them to improve your own referral program. The referral funnel describes the process from the very first step of showing a current customer a referral Call-to-Action (Impression) to the last step of getting a sale from a referred friend (Revenue). 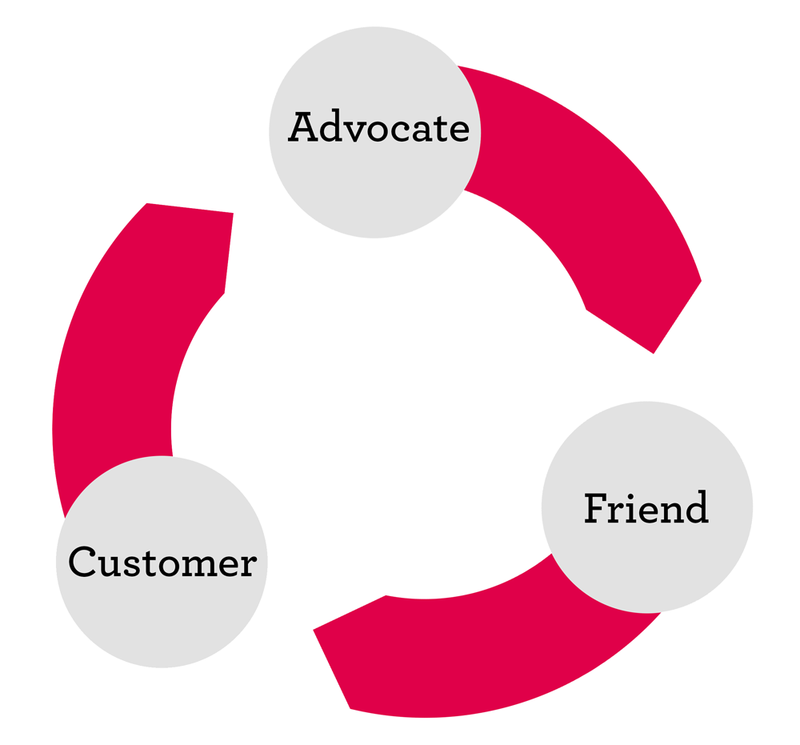 There are two distinct funnels in the referral funnel: (1) the advocate funnel and (2) the friend funnel. The advocate funnel is all about how many advocates share (Advocacy Rate), how much they share (Share Rate), and the size of the audience they reach. The share message that comes from the advocate and lands in front of the friend is the bridge connecting the two funnels. The friend funnel captures how many friends click on advocate shares (Friend Clickthrough Rate) and then ultimately convert (Friend Click). Advocates are the beating heart of your referral program. An advocate is someone who has recommended your brand to a friend at least once. They saw your shiny Refer-a-Friend call-to-action (CTA) somewhere on your homepage, and they decided to share your brand with their friends. Your advocacy rate is the percent of people who share when presented with the opportunity to do so. It’s the primary metric you should keep tabs on to track the effectiveness of your advocate funnel. For Extole customers, the median advocacy rate sits at around 19%. It’s incredibly basic but it’s one of the most common mistakes that companies make with their referral programs: they’re hard to find. Make the referral experience a seamless extension of your brand—easy to use, and beautiful. Remove friction that might impede sharing, like forcing potential advocates to create a login and password in order to share. Frame the referral program in terms of customer benefits. For example, Dropbox’s referral link said, “Get more free space,” not “Invite friends.” The former is a customer benefit, the latter is a company benefit. Treat mobile visitors like first-class citizens, and make sure that sharing from a small screen is a smooth and effortless as from a large one. Make it easy to become an advocate of your brand, and keep it open to everyone. Another perk of advocacy is it allows more aspirational brands to grow with customers who might not be able to afford their products without a referral program. Increased advocacy accessibility also means increased brand advocacy. In addition, test and iterate different marketing copy in your referral program, and incentive structures to spur advocacy. Provide and test default messaging. In general, an authentic voice devoid of marketing speak will make your potential advocates more comfortable, and likely to share. Make your reward double-sided to benefit advocates and friends and prompt sharing. Try different amounts, and also test differential rewards, where advocates and friends don’t necessarily receive the same reward. For example, suppose your friend clickthrough rate and your friend conversion rate are both good (see below), but your advocacy rate is lagging. Consider increasing the reward for advocates to get more shares. Your share rate is the average number of unique shares per advocate. At Extole, we’ve seen this to be around 2 shares per advocate. If that number seems low, keep in mind it’s partially because around 20% of your advocates drive 80% of your referral program—and that skews the average down. The 80-20 distribution resembles what’s called the Power Law, where a small number of people drive the vast majority of positive outcomes. In this case, some of your advocates might share once, and then forget about it completely—others might refer all the time. We call the latter “super advocates”, and they have made advocacy of your product a habit. To make the most of the power rule, run separate campaigns designed specifically for super advocates. Identify super advocates by pulling your top 5-10% of referrers or your top 5-10% of customers by customer lifetime value. Design a unique campaign for them—makes them feel special, ensures loyalty, and encourages them to share more. Offer higher rewards for both the super advocate and the friend. Create a defined cadence for the process of ongoing promotion: (a) regularly scheduled super advocate campaigns, monthly, for instance, (b) coordinated promotion with other campaigns and (c) timed super advocate campaigns to correspond with high-traffic seasons like the winter holidays. If you’re looking to build up your advocate base, considering doing the following. Make it as frictionless as possible to share. Customers were 4x more likely to share when the sharing experience appears on the same page vs. dedicated landing page. Increase share rates by nurturing your advocates and teaching them how to become super advocates. For example, email them regularly with progress updates and tips on where they can improve. Email is by far the most popular way advocates refer their friends. In your referral program, give advocates the ability to email multiple recipients on their contact lists. Make sure they know that they can, and should. Friend Clicks, or your Friend clickthrough rate (CTR) is the % of friends who click per share. If 5 people clicked on a share link, for example, Friend CTR would be 500%. This number tends to be pretty high, with the median at around 100% for referral programs powered by Extole. With Friend CTR, it’s vital that you look at benchmarks for specific distribution channels—specifically email and Facebook. Facebook shares tend to get higher Friend CTRs than email. Amplification is highest in social channels. Email has around a 55% rate, while Facebook has an approximately 80% rate. The significant differential comes about because while an advocate might email a referral offer to 5 close personal friends, a share on Facebook reaches all of his Facebook friends, leading to a higher Friend CTR. While you should track Friend CTR for other channels, like Twitter, and personal share links, these are hard to benchmark and tend to vary wildly. The upshot is that you should track your performance per channel and apply targeted strategies to improve for each. The friend looks at the share made by the advocate when deciding whether to click through to the offer. 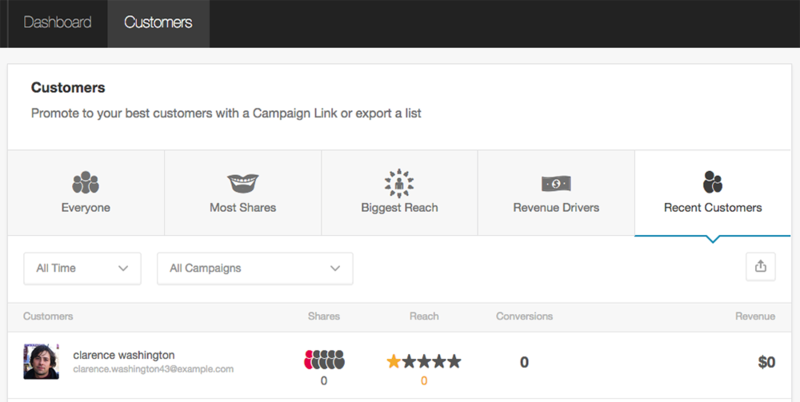 For example, a friend might see a referral share like the following. Much of what will determine whether the friend clicks through is decided in the previous step by the advocate. The more the referral share is personalized and tailored to the person receiving it and the channel in which it appears, the more effective it will be. Simply put, if you don’t let your customers personalize their share to their friends, you’re missing out on the true power of referral. Allow the advocate to personalize the messaging. For example, Lands’ End *requires* the advocate to personalize the share link with a message before allowing them to post on Facebook. Reinforce the personal nature of the referral link by sending the link from the advocate—not the company—and including the advocate name, picture, and any other personally identifying information. For example, email referrals should be addressed with the advocate’s name, not the company’s name. If you’re using referral codes, have it personalized to the advocate’s name—every little bit helps. For instance, Lyft, the ride sharing app, makes your referral code your first name plus 6 random digits. 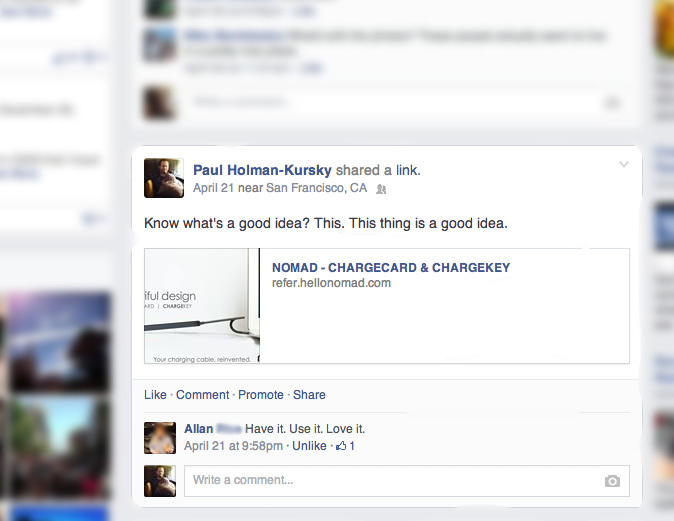 Finally, the friend has clicked through on the share link and landed on your site. We have them right where we want them—they’re enticed by the offer and interested enough to learn more—it’s time to close the deal. You might think that conversion rates would be high at this point, but in fact, they can be very low. For some beauty online retailers, for example, the friend conversion rate is as low as 2.9%. That amounts to a huge wasted opportunity where a friend’s clearly expressed interest has been squandered. In contrast, among Extole customers, we see conversion rates of 4x that of approximately 13%. What’s most important at this stage in the funnel is user experience design. The logic is simple—make it easy to redeem the reward and buy the product, and you’ll boost your conversion rates and turn more friends into customers. A friend of your advocate is a friend of yours. Welcome them and make them feel at home. Boost conversion 3% by showing new customers who sent them your way. This is a quick win that pays dividends at high volume. Have the link take the friend straight to the promotional offer. A poorly designed referral program drops you off at the homepage and forces you to hunt for the referral offer, or onto a generic referral landing page where you have to find your own way to the product, to cash in on the deal. You don’t want potential customers flipping back and forth between tabs trying to copy and paste a code—it’s just an extra hoop customers have to jump through. Focus your mobile development on one thing—make sure the friend experience works. If your friend CTR is high but your friend conversion rate is low, take a long look at your friend mobile experience. Removing friction is absolutely essential for mobile. Count how many clicks it takes to buy, and try to get that number down. Count the number of form fields that need to be filled out, and reduce that number. Multitasking is hard on mobile. It is extremely annoying to have to switch back and forth between a browser window and email to get a referral code. Make your design responsive—Indochino and Airbnb are two companies that have beautiful and simple designs that make it easy to browse and buy on mobile. 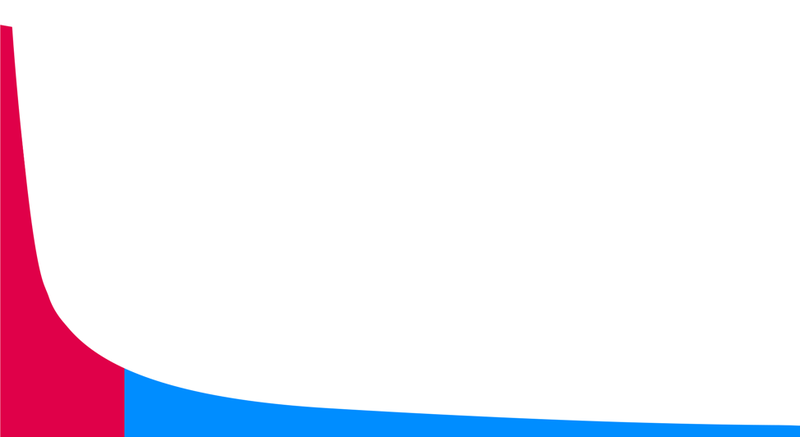 This is the end of the funnel—or is it? The beauty of referral is that the buck don’t stop with conversion. Brands that use Extole find that their referred customers refer much more often—up to 5x compared to non-referred customers. What you end up with looks less like a funnel and more like a flywheel. Improving and refining the process of referral creates more advocates, who refer more friends, who become customers, who themselves become advocates and share at a much higher rate. You’re not likely to end up with a massively viral growth channel—but put in the hard work of improving each of these 4 key referral metrics, and you’ll create a strong foundation of systemized word of mouth that will pay dividends across every single one of your acquisition channels.